A CNN report, claiming that several Russian cruise missiles targeting Islamic State (IS, formerly ISIS/ISIL) positions in Syria actually landed in Iran, has been refuted by the Russian Defense Ministry, while the US State Department say they can’t confirm. This triggered a quick reaction from the Russian Defense Ministry, with spokesman Igor Konashenkov saying that all the missiles had hit their targets on Wednesday. “Unlike CNN, we don’t distribute information citing anonymous sources, but show the very missile launches and the way they hit their targets almost in real time,” Konashenkov said. The spokesman pointed out that the strike targets are being photographed before and after being hit, while Russian drones are monitoring the situation from Syrian skies 24/7. 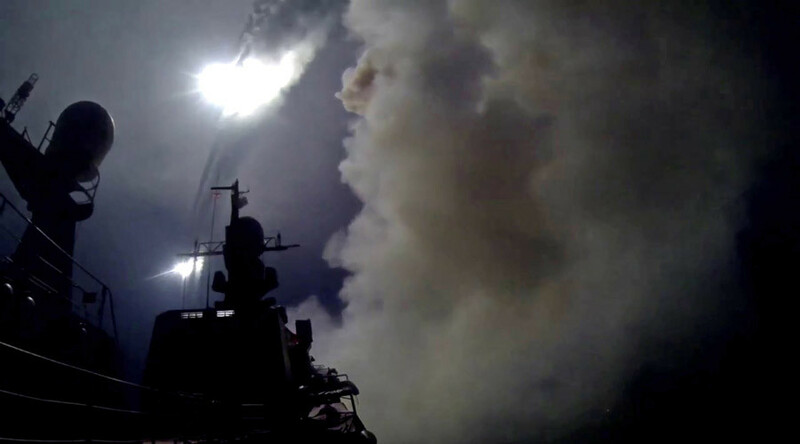 The high precision strikes might have been “unpleasant and surprising for our colleagues in the Pentagon,” but the fact is that “the missiles launched from the ships hit their targets,” he said. “Otherwise one would have to acknowledge that IS facilities – located at a considerable distance from each other – exploded all by themselves,” Konashenkov said. US State Department spokesman John Kirby said that he couldn’t confirm CNN’s report, according to Reuters. On Wednesday, four Russian naval warships in the Caspian Sea fired a total of 26 missiles at positions of Islamic State in Syria, hitting all the targets, according to Defense Minister Sergey Shoigu. Konashenkov also lashed out at a fresh statement from Pentagon head Ashton Carter, who predicted Russian losses in its Syrian operation. “In their assessments of the US military’s actions in various operations conducted by them all over the world, the Russian Defense Ministry has never stooped to publicly speaking of expectations of the deaths of American soldiers” Konashenkov stressed. According to the spokesman, Carters’ words demonstrate the degree of cynicism among “some of the representatives” of the current US government. Moscow’s air operation in Syria “will have consequences primarily for Russia itself,” Carter said at a press conference at NATO headquarters in Brussels. “I expect that in the next few days the Russians will begin to lose in Syria,” the US Defense Secretary added, also mentioning the possibility of retaliatory attacks by extremists in Russia. Russia launched its anti-terror air campaign in Syria at the request of the Syrian government on September 30.The Russian military has destroyed over a hundred terrorist targets, including command posts, ammunition depots, training camps and armored vehicles, since the start of the operation.